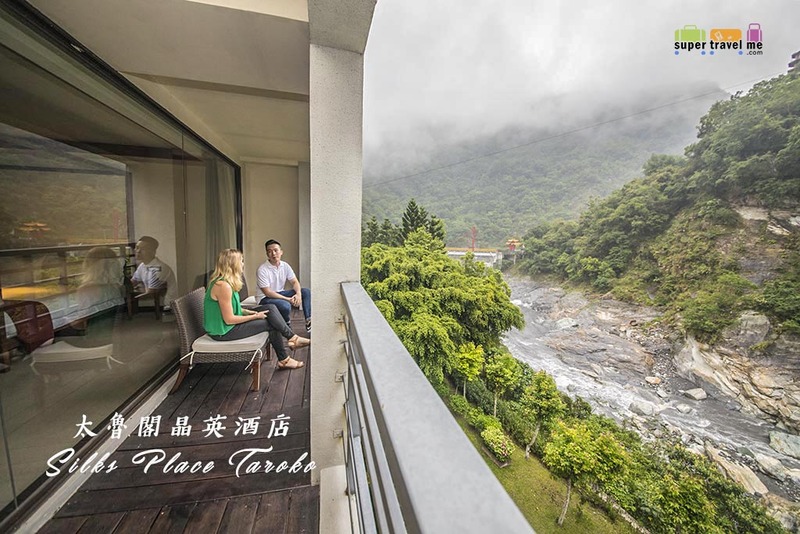 Offering uninterrupted views of the surrounding greenery, Silks Place Taroko Hotel is located within the Taroko National Park in Hualien County. It features an indoor pool, an outdoor pool and 2 dining options. 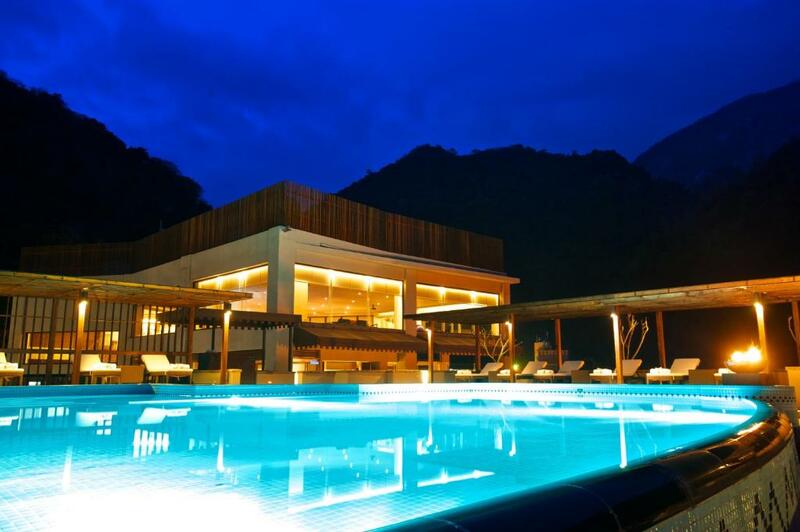 Located in a spectacular mountain river valley, around an hour from Hualien City, Silks Place boasts a fascinating history, having originally been built in the 1950’s as a VIP hotel on the order of Taiwanese leader Chiang Kai-shek, to open up Taroko’s wonderful scenery to high-ranking officials. 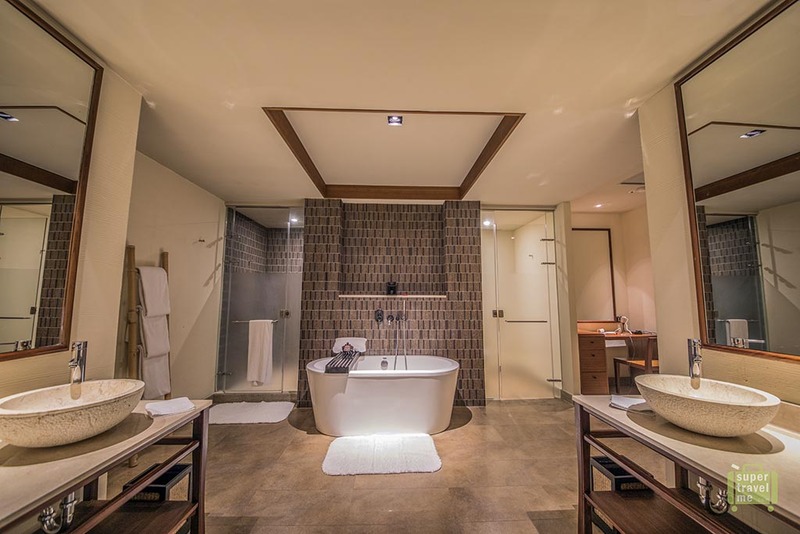 Seventy years on, the National Park is now open for everyone to visit, yet the former Tian Hsyang Lodge – now with a complete facelift and modernised facilities – retains a special air of sophistication and exclusivity. Given the range of facilities available at the hotel, including a stunning panoramic outdoor pool, tennis courts surrounded by jungle-clad mountains and two highly recommended restaurants, the luxury retreat concept begins to make perfect sense. You really will have to tear yourself away from the hotel to visit the spectacular National Park trails close at hand, the temples and grottos, hot springs and waterfalls. The accommodation at Silks Place is split over two distinct floors: the Retreat floor and Resort floor. 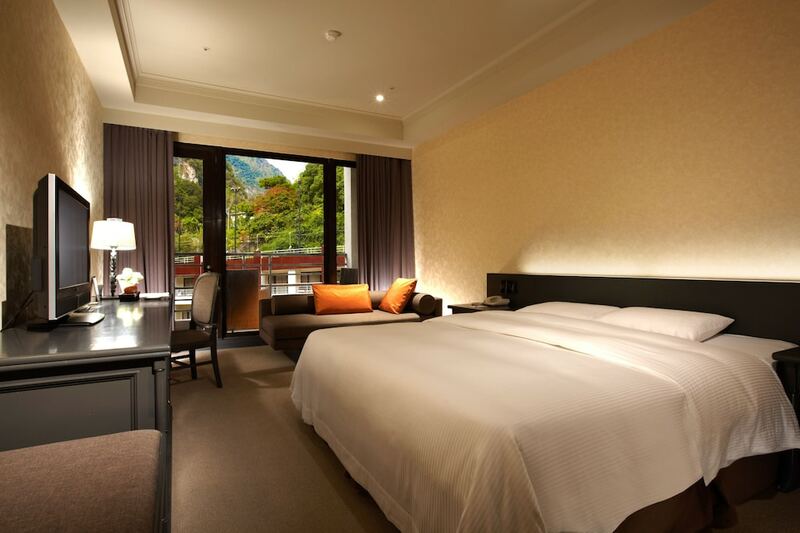 Resort rooms are unfussy, comfortable and slightly different in style: choose from a Japanese style room, a Garden View or (our favourite) the Gorge View room which boasts views of Taroko Gorge. The Suites on the Retreat floor are understated, contemporary and airy in style featuring vast picture windows offering panoramic views. As well as being larger than rooms on the Resort floor, they additionally benefit from access to the top floor, scenic Retreat Lounge, where complimentary snacks and drinks are served all day. 40 square-meter room facing the Courtyard. Characteristic environmental elements are incorporated in the hotel for a unique and moving experience. Balcony with view of Courtyard or French window with bamboo decoration available, according to hotel arrangement and availability. 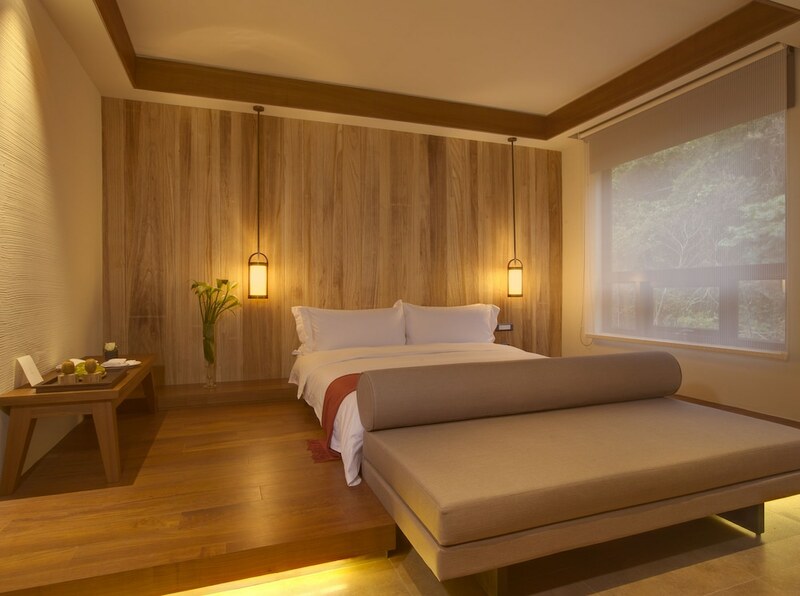 40 square-meter room blending Eastern and Western design elements with modern concepts, juxtaposed against the lush natural backdrop of Taroko creating a harmonious and tranquil vacation destination. 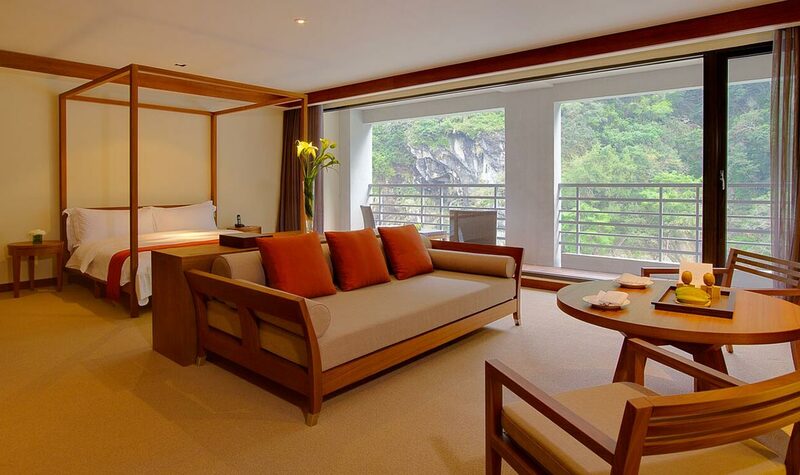 40 square-meter room with views of Taroko Gorge, the most wondrous proportion, and lulling sounds of rushing water, creates the perfect natural repose. There are divided into two types include: The Gorge View Room (1F with French windows) and The Gorge View Room with Balcony (2F with balcony). Need to pay difference to upgrade the room with balcony. 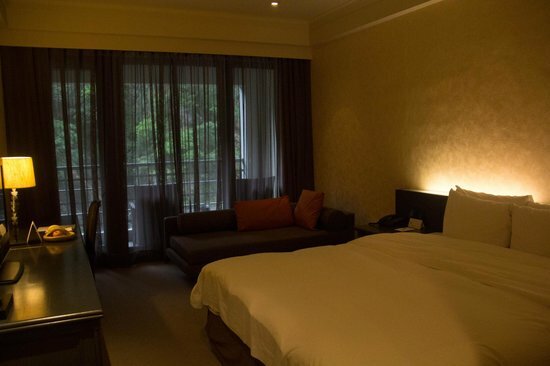 In this spacious 106 square meters room with a simple and earthy sophisticated design, free your spirit as you come face to face with Mother Nature and ease your soul in the most breathtaking natural landscape Taroko has to offer. 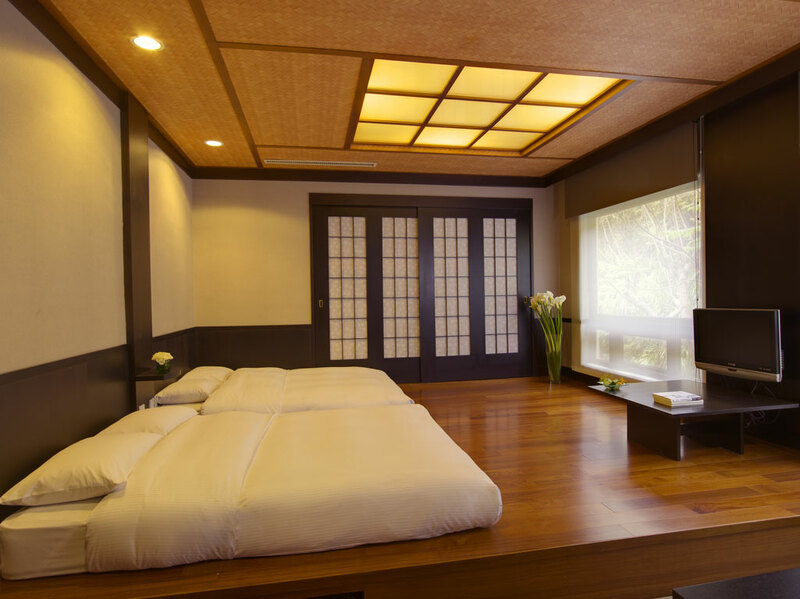 40 square-meter room, The Honeymoon studio designed with Japanese style, is extremely exclusive and perfect for couples！From the moment you step in, you are enveloped in a sweet and romantic ambiance that is second to none. 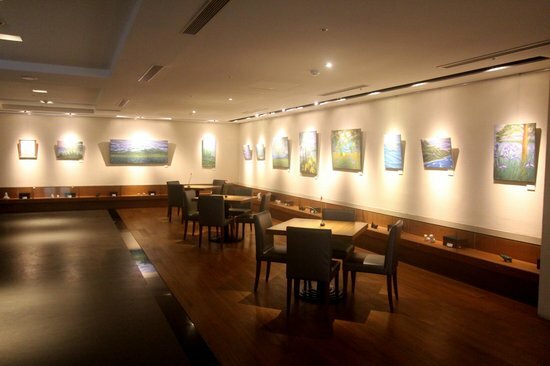 An 70 square-meter space with spectacular partial mountain view surrounds you in this place of natural beauty. 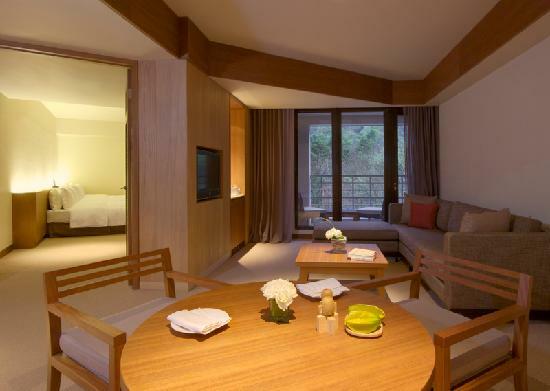 The suite overlooks the courtyard with weekend entertainment or Taroko square. Let your trip to Taiwan's most picturesque location be the one you will always remember. This 70 square-meter spacious room with magnificent breathtaking views of the gorge. Relax on the balcony and enjoy the gorge view, juxtaposed against the lulling sounds of the rushing river. 86 square meters room designed with separated living room and bedroom spaces, indulge in a cozy and luxurious experience. Gaze upon the famous Mei Yuan (Plum Garden) and discover paradise from the inside out. A 240 square-meter refined living space designed with two bedrooms, a living room, dining area, and a small kitchenette with sink (no cooking facilities). The Silks Suite embarks on a truly extraordinary living experience. With an indoor and outdoor dining option with international cooking techniques complemented by fresh local ingredients, experience something new and full of surprises as you dine among the beautiful mountainous landscape. Discover the spirit of innovative masterpieces and enjoy a rare feast of the senses. 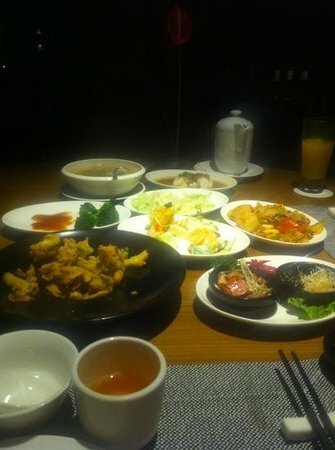 The restaurant provides buffet dining. Mei Yuan, meaning "plum garden", was named after the trees located in front of the hotel, which centuries ago, was a popular stop for Jiang Kai-shek on his routine tours of the area. The elegant and refined dining space is spacious and welcoming with two private rooms. Providing set menus and family style dining options, with fresh local ingredients and self-planted pure spices and herbs.